2019 has arrived, and it promises to be an engaging, unpredictable and thrilling year in sport, both at college level and on the national and international stages. While there is no major summer event this year (in all honesty, last year’s World Cup would be a tough act to follow), there is a feast of entertainment on offer, not just in the traditional sports but also in some obscure ones. Here is just some of the many events to keep an eye out for in the new year. While the Six Nations Championship is only weeks away, this year it is only the supporting act for a much more important tournament in September. 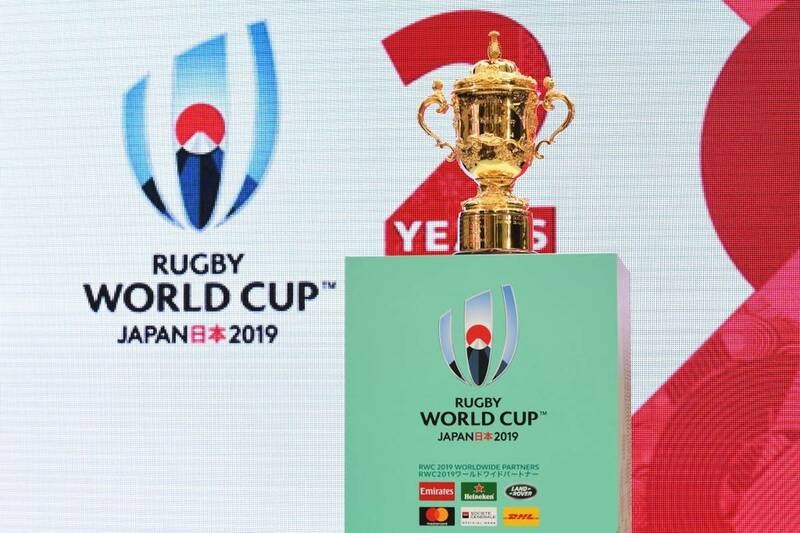 For the first time ever, the William Webb Ellis Trophy will be contested in Japan, outside of the traditional rugby strongholds. Finally, it does not seem like it is a foregone conclusion, with many international sides looking to dethrone New Zealand. The All Blacks, still smarting from their defeat to Ireland in November, will be pulling all the stops to prevent further humiliation on the world stage by successfully defending their title. Many pundits view the Irish as their nearest challengers, but before they can take the trophy, the men in green will need to make their debut on the semi-final stage. Wales are also in the mix as they look to give Warren Gatland a proper send-off; South Africa are much-improved since Rassie Erasmus took the helm; even England could find their 2016 form and emerge as a dark horse. New Zealand journalist Chris Rattue suggested last year that World Rugby should “just give us [New Zealand] the World Cup now” – he may be forced eat his words in ten months’ time. April 4 sees the traditional clash between the Trinity and University College Dublin (UCD) rugby teams. Senior XVs from both DUFC and Trinity Women’s Rugby will travel to Belfield for this year’s matches. The men’s side will hope for back-to-back victories in the Colours Match following their single-point win last year in College Park. The college side lie fifth in All Ireland League Division 1A, but had to settle for a 23-all draw earlier this season. With Tony Smeeth’s young team starting to find their rhythm, a win in their arch rival’s backyard would be a nice bonus in a promising season. Trinity Women’s Rugby will be baying for blood in Dublin 4 after last year’s 39-0 drubbing at home. Sitting fourth in Leinster Division 3, it may be asking too much of the Trinity side to topple the unstoppable force in college rugby. However, captain Jane Leahy and her squad will do all they can to disrupt the Blues’ drive for four-in-a-row in the Colours matches. Quidditch comes to the magical surroundings of College Park on January 12 as Trinity hosts the Irish Quidditch Cup. Dublin Draíochta Dragons host the tournament for the second year running, but while last year’s adverse weather saw it staged in Fairview Park, the competition returns to the college grounds in 2019. Three teams from across the country are already confirmed for the day’s events, with plenty on offer for both serious and novice players. Aside from the competition itself, organisers are also planning exhibition games for newcomers, with other activities scheduled for the day. The Cup is the perfect opportunity to dive into a unique and interesting sport. While it may differ in some obvious ways to the game from the Harry Potter books and films, the spirit, inclusivity and energy of Quidditch remains intact in the muggle adaptation. Trinity’s hurlers gear up for a challenging Fitzgibbon Cup campaign in the new year. While they certainly could have had a tougher group, it will still be difficult for the Trinity team to emerge from Group B. First up is a trip to Garda College on January 20, before hosting last year’s semi-finalists IT Carlow four days later. Their final group game sees them travel to Limerick IT. Trinity are not to be underestimated this year – they shocked UCD in the league in October to turn the heads of many hurling fans across the country. However, even with the right mindset and proper preparation, it seems unlikely that the hurlers will qualify for their first ever Fitzgibbon final this time around. However, a good campaign may lay the foundations for further success in the future. Following a miserable performance in the Colleges and Universities Football League, DUAFC will look to have something to cheer about by trying to make the final for the first time in three years and claim their third title. It will be a tough ask to unseat the current holders UCD who are seeking a third in four years and their eighth since 2007. A strong showing in the Leinster League this year along with a dangerous attack led by captain Ronan Hanaphy will inspire hope for the black and red. Being the underdog is surely a moniker that the team is no stranger to and may even welcome. Expect them to come out swinging in their opening match against Maynooth. This past NFL season may live long in the memory as one of the most entertaining years in the league’s history saw a changing if the guard as fresh-faced youngsters such. Players such as Patrick Mahomes, Saquan Barkley, Baker Mayfield, and Lamar Jackson tore up the script while established stars such as Aaron Rodgers and Tom Brady began to show evidence of decline. After 256 games, 12 teams will seek American Football’s greatest prize in a too close to call race for the Super Bowl. There is one thing that is certain: this may be the most exciting NFL playoff race in the league’s history. The New England Patriots led by Tom Brady will seek their sixth title and third in five years, but all eyes will be on the red-hot youngster Patrick Mahomes and the record-setting Kansas City Chiefs in their quest to win only their second title and first since 1970. A year out from the Olympics in Tokyo, 2019 provides many prospective champions with their opportunity to qualify for the games. The World Aquatic Championships kick off in South Korea in July, with Irish swimmers like Sligo’s Mona McSharry hotly tipped to perform well. Ireland’s women’s hockey heroes will hope to be on the plane to Japan next Summer; Dublin hosts one set of Hockey Series finals in mid-June. Stuttgart hosts the World Gymnastics Championship in early October where European champion Rhys McLenaghan can build on his 2018 form ahead of his debut at the top table. The O’Donovan brothers take to the water in August for the Rowing World Championships in Ottensheim, Austria as they look to go one better at next year’s Games and take home gold. Athletics then takes centre-stage in September with the World Championships in Doha. Thomas Barr will bid for a place on the podium at Worlds to go with his bronze medal from last year’s European Championship. Barr missed the competition in 2017 due to illness, so many are anticipating a strong showing from the Waterford man this time around.